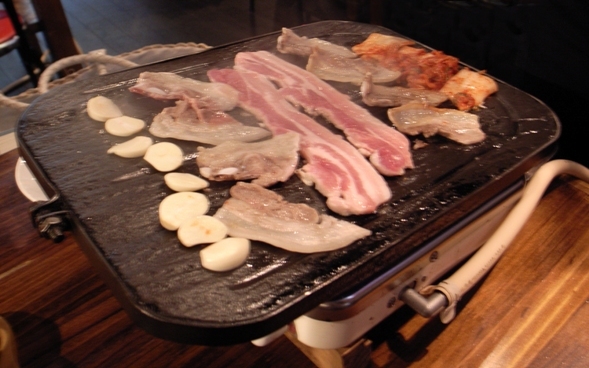 Growing up in Los Angeles, Korean BBQ was somewhat of a staple. Beyond that, I didn’t have much knowledge of what Korean food had to offer until I moved here. Nearly six years later, I’ve become so obsessed with the cuisine that I really can’t go more than two weeks without one of these amazing meals or snacks. This is the ultimate countdown to the 30 best Korean dishes, so prepare yourself as it’s about to get yummy! Korean food is just amazing, so it should be no surprise that we have reached a third Korean main dish list (list 1, list 2). With so many flavorful choices, don’t be surprised if this series reaches a pt. 25. Having lived in Korea for nearly four years, I have grown an intense fondness to the delightful choices available to satisfy my palate. Korean food is great, Korean food is yummy, yata yata yata… let’s get this ball rolling shall we?